Preimplantation development is key to mammalian pregnancy success. About 70% of pregnancies fail during the first few days before the embryo is ready for implantation. Understanding the underlying processes will help to identify approaches that increase the success rates of pregnancies. During the pre-implantation phase, the fertilized oocyte divides several times to separate into three distinct populations of cells that will give rise to the embryo proper, the placenta and the yolk sac cells. 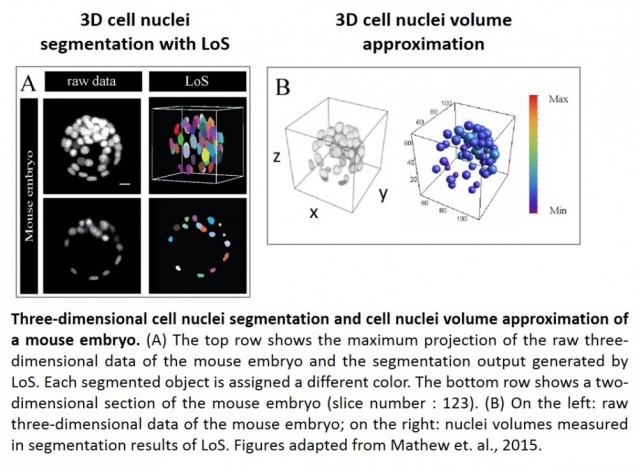 In this project, we investigate the complex and highly dynamic process of cell decision and cell pattering in the preimplantation embryo. We use an interdisciplinary approach combining cell biology, developmental biology, advanced microscopy, three-dimensional image analysis and three-dimensional mathematical modelling. Project funding through "Freunde und Förderer der Johann Wolfgang Goethe-Universität"